We're an expert roofing company who offers Bearsden's residents with a complete range of affordable roofing services. Working across the G61 area, we offer simple repairs to complete new roof building projects at unbeatable prices. 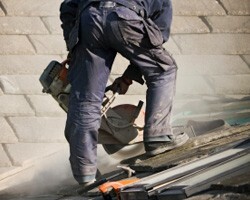 Call us today for a free, no obligation quotation on the work that you need our roofers to do for you. Our work is guaranteed for our customers' peace of mind, so you can be sure that we're looking after your property every step of the way. We have worked very hard to ensure that our prices remain competitive for all your roofing needs in the Glasgow area as we want to give you value for money. We pride ourselves on the quality craftsmanship of our roofers in Glasgow. You will always get quality and honesty, and for your peace of mind all of our work comes with an extensive guarantee. We are your local roofers covering Bearsden, and we take pride in all the roofing work that we do. Call today on 0141 340 9604 for a free estimate on your roofing project.